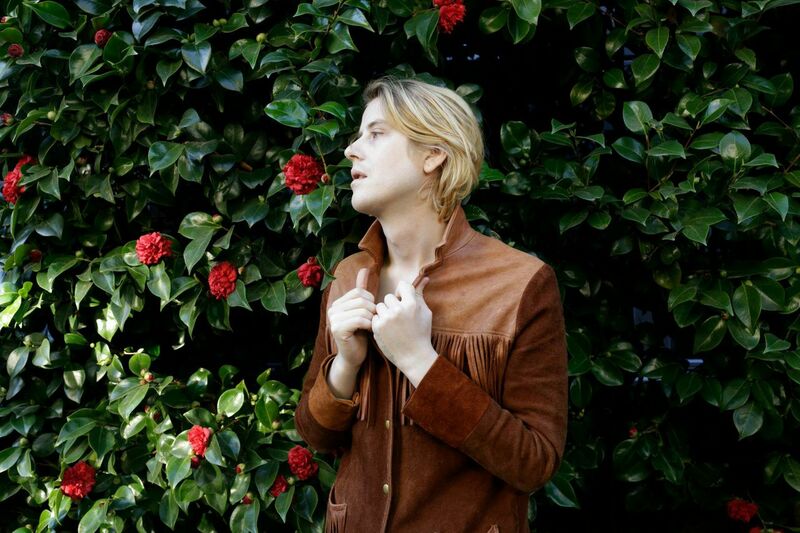 “I’m a little nervous,” Christopher Owens said while he sat in his San Francisco bedroom about to perform his song, “Oh My Love,” alone with his acoustic guitar back in 2010. Maybe it’s Owens’ soft boyish voice over his delicate guitar playing. Maybe it’s his perfectly crafted lyrics—“You never said you might be leaving, you never let-on with those eyes. You always said it was forever, you always told such pretty lies”—but Owens writes love songs like no other. Even if there’s no one special in your life, his songs hit you in such a way that will have you falling in love with the nearest lamppost for two minutes and 30 seconds. “The important thing for me is to write honest songs—lyrically. I start from a very simple, honest place and then it seems to go pretty smoothly from there,” Owens explained. The former Girls frontman just released his second solo album, A New Testament, which strays from the songwriter’s indie-rock sound. A New Testament is a country album—perhaps a nod to Owens’ move to Texas after his tumultuous childhood. Owens grew up travelling the world with his family, who were members of the Children of God New Religious Movement. They strictly observed the church’s rules: his brother died at the age of four due to the church’s reluctance to use any modern medical assistance. The song “Steven” off the new album is about the loss of his brother. At the age of 16, Owens ran away from the church and followed his sister to Texas. He spent nine years there, working backroom jobs, and eventually was hired by wealthy oil tycoon and artist, Stanley Marsh III, as his personal assistant. Marsh’s guidance and role as a father-figure helped sooth the turmoil of the young musician’s heart and mind. With Owens’ move to San Francisco, the rest is history—his widely popular band Girls, his solo debut Lysandre, and now A New Testament. Though the ears of our generation are less attuned to gospel and country-sounding music, the songwriter’s honesty spills out of the album between the guitar and bass riffs’ southern drawls. Everything Owens writes is a window into his life—the album isn’t just a group of catchy songs, but an insight into his mind. He becomes, in his solo career, a musical auteur. Perhaps we’re drawn to his music because he feels so deeply, but also because he possesses the talent for communicating those feelings so beautifully. “There’s love that hits you like a ton of bricks, all at once, that can really throw you off or come as a surprise. There’s love that slowly builds and grows on you or comes from somewhere unexpected. I’ve experienced both—I think maybe that’s why I’ve come to respect the feeling of love. I think it’s not just one thing: not only romantic or only dramatic. It’s an intricate part of life…It’s just something that, throughout life, you’ll see in so many different ways—over and over again,” he explained. “Without trying to sound too cliché, I would say: ‘don’t give up—hang in there,’ because those things are important. If you are somebody who’s actually going through a crisis with your dreams… I think the bigger disaster would be to just settle for some type of life without a passion or without a purpose. It can be brutal—it can take ages—sometimes an entire lifetime,” he said. The Concordian: Are you in love with love? “It’s hard to talk about love,” Owens says, but he makes love seem effortless to sing about. Owens plays Petit Campus on Sept. 30.